Honesty and perspective–two traits people with diabetes cherish from those who give us advice about food. Christina has both. Having served with Ryan at Camp Blue Hawk on the medical staff, he was ready to pick her brain about her thoughts on paleo vs vegan, parenting pitfalls in diet, and how she found dietetics. The result? A conversation that stays open-minded and focuses on the big picture: steady blood sugars without compromise to long-term longevity. Oh, and as a show first, Amber arrived midway through the conversation by surprise. 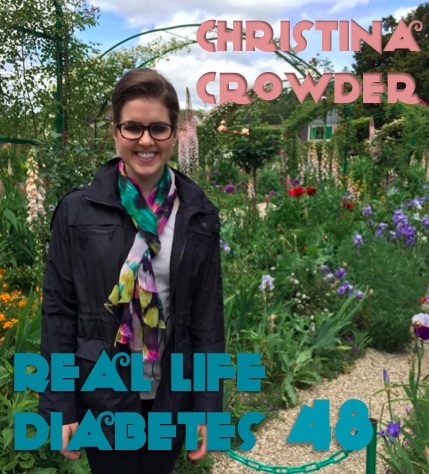 This entry was posted in Mindful, Physical, Podcast, Professional, Real Life Diabetes Podcast, Social and tagged diabetes dietician, diabetes education, paleo vs vegan t1d, type 1 diabetes camp. Bookmark the permalink.